The Irish are coming off of a very sloppy win over Navy last week where the defense played their worst game of the season against the triple option. With the triple option behind them and a hopefully healthy defensive line, I expect the Irish defense to have a much better game against Pitt which ranks 103rd in the nation in total offense. I guess you could say that the Panther passing attack, lead by quarterback Tom Savage, is the strength of the Pitt offense, but that only ranks 70th in the nation while the running game is an abysmal 104th nationally. 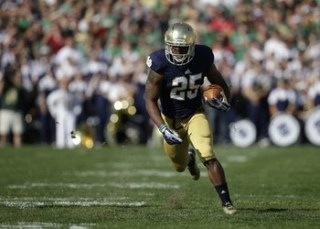 This bodes well for the Irish as they matchup well with the Panthers passing game with the 23rd ranked passing defense. The Irish defense has struggled against the run last week against the triple option but that’s a completely different animal than most teams rushing attacks. With Louis Nix, Stephon Tuitt, and Sheldon Day all expected to play together on the D-line, the Irish defense should start looking like it did against USC again. 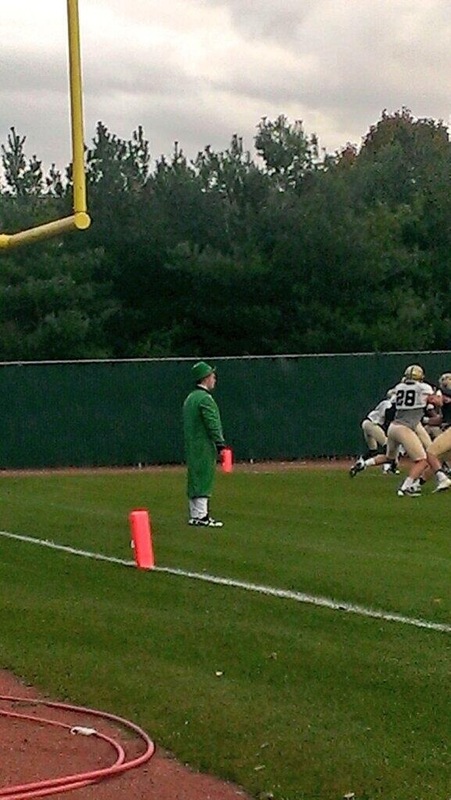 The Irish offense however could be in for a tougher road. While Pitt may being having an bad year on the offensive side of the ball, their defense has played pretty well at times. Their defense is ranked 34th in total defense and is anchored by stud defensive lineman Aaron Donald, who Brian Kelly called a “one man wrecking crew”. The Panther defense specializes in defending the pass, ranking 18th nationally, while having trouble defending the rush ranking in the bottom half of the country at 63rd. The Irish running attack, led by Cam McDaniel and Tarean Folston, had a breakout game last week with the help of tremendous offensive line play, so look for the coaching staff to again work to running game on the road early and often. Overall Notre Dame SHOULD win this game by a pretty good margin. There is just too big a talent gap and to be quite frank Pittsburgh is just not a very good team. They are coming into this game at 4-4 and riding a two game losing streak including a loss to Navy. The Panthers best win this season would be over Duke (yes Duke), 58-55 earlier in the season. The two best teams they have played to date have been Florida State and Virginia Tech, which were both losses. But as I do recall, I said a lot of the same things last week about Navy, and we all know how that turned out. Pittsburgh has always played Brian Kelly coached teams very well. Since losing to Pitt while coaching at Cincinnati in 2007, Brian Kelly has beaten Pitt five straight times but all by 7 points or less including last years 3OT thriller in South Bend. Pittsburgh always plays Notre Dame very well, and this year will be no different. However, no matter how many times Mark May picks Pitt this week, Notre Dame will be too much for the Panthers. Offense- After facing two straight defensive lines that were undersized, the Irish offensive line gets back to going against a more normal sized front seven. The offensive line played very well last week and contributed to the breakout game for the Irish rushing attack and I am eager to see some consistency this week against a much tougher defensive line. Defense- With the recent injuries to the defensive line, Jarron Jones found himself on the two deep for the Irish this week. A former 5 star recruit, Jones was recruited as defensive lineman but many believed he would play offensive line at Notre Dame. He will get a sufficient amount of snaps this week and I am very eager how he plays.